Do you know when it’s time for roof replacement? Various red flags can indicate that your structure needs it. By knowing these signs, you can spot them and take steps to avoid any prolonged roofing damage. Read on and discover what signs call for a full replacement. Wind damage can affect your roof. It’s a proven fact that high-speed winds can tear off shingles, which can leave your home vulnerable to leaks and pests. If several shingles go missing, you should have them replaced immediately. Water damage is a deadly enemy of all roofing materials. That’s why contractors install flashings to keep water out. These metal sheets protect the roof’s intersections from moisture and rain. Any damage to them can lead to leaks in the chimney and intersections. Moss growing in between the shingles is a sign of moisture damage. Moss and mildew worsen as they can grow and proliferate, which can widen the cracks they are rooted in. Shingle damage is problematic on any roof. While missing ones can be spotted easily, cracks and curls may take more effort to find. These can be the result of old age or impact damage. And just like with missing shingles, make sure your roofing contractors replace them immediately. The age of your roof can also reveal how much longer it has left. 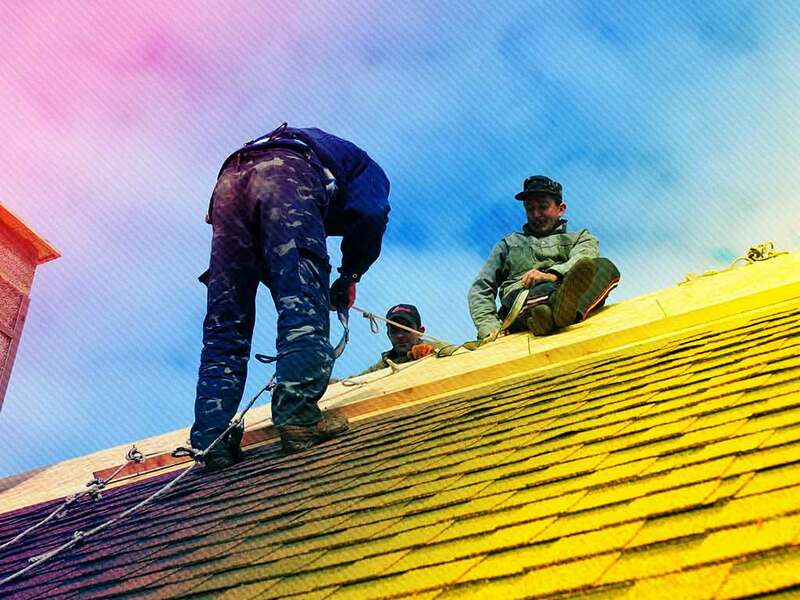 Typical asphalt roofs last twenty to twenty-five years with proper maintenance. If your roof is approaching the end of its service span, you should have it replaced immediately. Your gutters are responsible for draining water. They also collect debris over time, which should be cleaned out periodically. When you check the gutters, keep an eye out for granules. These come from the wear on the shingles. While new ones are okay (those are just loose granules during installation), older roofs with plenty of granules accumulating in the gutters may indicate serious damage. Do you think your roof needs to be replaced? Contact us at (866) 244-8029 or fill out our contact form for a free estimate and find out if your roof needs an overhaul. We serve residents in CT, including Greenwich and Danbury.